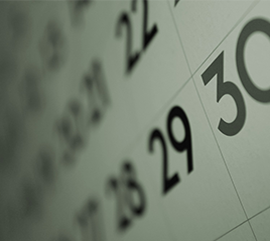 Serbs are traditionally celebrating Christmas on 7th of January, according to an old calendar. 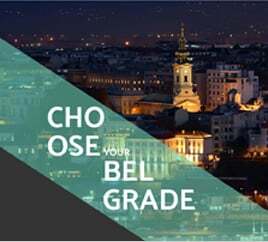 When in Belgrade on 7th of January, you should visit one of the Orthodox temples, where the tradition of celebrating this religious holiday has not changed for centuries: the Temple of St. Sava, Church of Saint Marko or the Church of the Ascension, known for one of the best church choirs in Serbia. The celebration starts with a liturgy in the Saint Sava Temple on Vracar Plateau, at midnight, where thousands of people gather to celebrate this day. Since the holidays are not over yet, and the Belgrade is still decorated and festive, all the guests of City Break Apartments can enjoy this experience. Christmas is a three-day holiday primarily focusing on the home and family and this orthodox holiday is filled with the most beautiful religious customs and rituals. The people are cheerful and happy, spending time in their homes and with the loved ones. The Christmas is celebrated today as the most important holiday in Serbia and has not changed a lot for centuries and it represent in the best way the old religion of the Serbian people. The celebration begins with the Christmas Eve referring to the evening or entire day preceding Christmas Day on 6th of January. During sixth day of the year, the man of the house buys or cuts badnjak. Badnjak is the name for a log similar to a Yule log in other European traditions and it’s usual an oak. 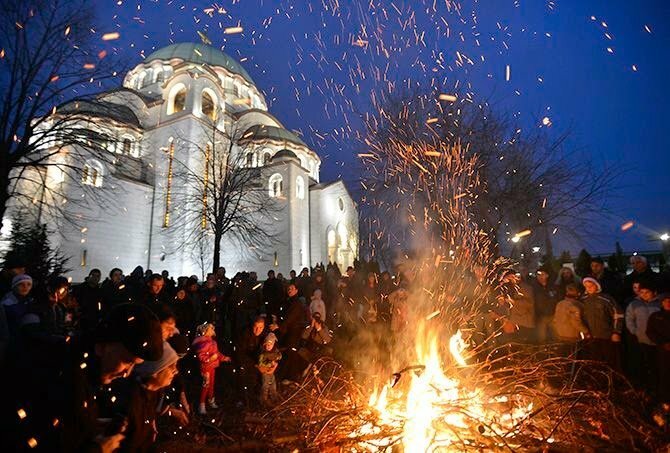 The ritual of its bringing into the house marks the beginning of the Christmas holidays while an important element of Christmas Eve is the burning of the Badnjak when the night falls. Christmas Eve dinner is meatless but festive where people mainly eat fish, beans, baked beans, dried fruits and etc. The most important ingredient is a special Christmas bread-cesnica. The preparation of this bread is accompanied by various rules and rituals. A coin and small objects are often put into the dough. At the beginning of Christmas dinner, the cesnica is rotated three times counterclockwise, before being broken among the family members. The person who finds the coin in his piece of the bread will supposedly be exceptionally lucky in the coming year. This day is full with various customs and actually present in the most colorful way Serbian national folklore. City Break Apartments wishes a Merry Christmas to all who celebrate!